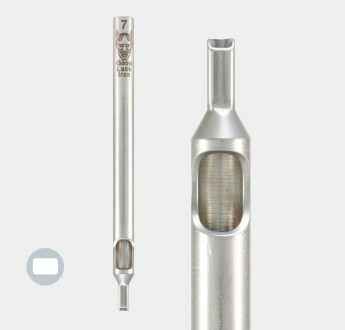 Short Taper Closed Shader in surgical grade 316 Stainless Steel. 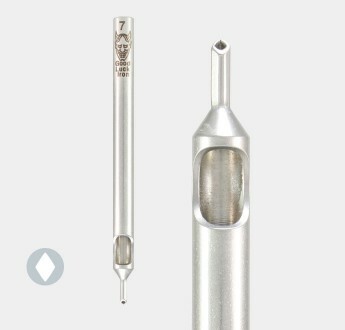 Good for artists who like a longer ..
Short Taper Diamond Liner Tube in surgical grade 316 Stainless Steel. 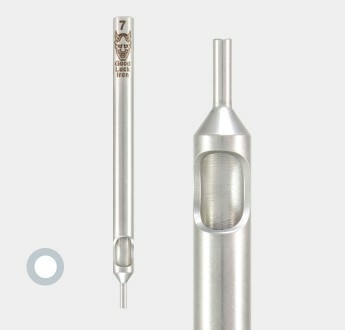 Angle cut tip for better..
Short Taper Round Angled Cut Liner Tube in surgical grade 316 Stainless Steel. Ideal for line ..
Short Taper Round Straight Cut Liner Tube in surgical grade 316 Stainless Ideal for line and detail ..